Do I Have to Hit Rock Bottom Before Coming in for Alcohol Treatment Help? Many alcohol abusers are under the misconception that they have to hit rock bottom before they can seek alcohol treatment help. That couldn’t be further from the truth. You don’t need to hit any requirements before you should get help for your alcohol addiction. If at any moment you feel like you’re struggling with a drinking problem, get help. It’s that simple. Don’t follow the myth of having to hit rock bottom before getting help for drug and alcohol addiction. After all, many people have different definitions of “rock bottom.” Believing this misconception means that you or other alcoholics may put off getting help time and time again. You’ll stand to lose a lot. Your addiction will also likely have spiraled out of control by this point, so it will be more challenging to overcome. Instead, find treatment programs for alcohol addiction as soon as possible. You’ll save yourself from a lot of misery, and potentially life-threatening situations. Employment. The drinking problem may have leached into one’s ability to maintain a certain work performance. Financial security. An addict or alcoholic may believe that he or she needs to be having difficulties making ends meet. Housing and safety. Heavy or chronic drinkers don’t have to be homeless to have a problem with drinking alcohol. Physical health or mental health. Drinking alcohol may affect the brain and body. Alcoholism often comes with unsavory side effects. Some of these effects may even be permanent or irreversible. Supportive relationships. These relationships may involve family members, friends or even coworkers. If you wait until you’ve hit “rock bottom,” you might find yourself in a very bad situation. Loss of one or more resources can have a massive impact on your quality of living. Instead, it’s best to seek help if you notice that you’re starting to have an issue in any of these areas in life. There are many addiction treatment options available. Various treatment options offer different levels of care. Those with a less severe problem may find outpatient programs to be more suitable. An alcohol treatment center may offer varying levels of outpatient programs. Alcoholism is on the rise yet again in America. 1 in 8 American adults that you meet struggle with alcohol abuse. They meet the requirements set out by the American Psychiatric Association (APA). These numbers don’t include the number of Americans who may binge drink on a weekly basis or have an unhealthy relationship with alcohol. Have you ever found that your drinking interfered with your work, school or familial responsibilities? Have you ever neglected any of them, so you can spend more time drinking? Have you, on more than one occasion, tried to stop or cut down on your drinking, but failed? Thinking back, do you spend a lot of time drinking or recovering from a hangover? Do you ever want to drink so badly that you can’t think of anything else? Have you ever continued to drink despite understanding that you’ll likely have to face some consequences? The consequences can be anything, from health to a decline in work performance. Do you ever continue to drink despite the fact that it’s making you feel even more depressed? Have you ever engaged in risky behavior because you were drinking? Do you ever feel like you have to drink more and more alcohol to achieve the same effects? If you have, your body has developed alcohol dependence. APA has released several guidelines for defining alcohol use disorder. They include DSM-5 and DSM-IV. There are some overlaps between the two. Take a look at them to get a better idea of whether your alcohol use has become a problem. Seek treatment for alcoholism as soon as possible. You don’t want to wait until it’s too late. Why Do Many Americans Avoid Substance Abuse Treatment? Only about 11% of alcoholics ever seek addiction treatment. While some have legitimate reasons for not being able to get help, the vast majority simply don’t believe that they have a problem. Others don’t think that their problem is severe enough to warrant alcoholism treatment. As long as you have a drinking problem, you should get help. Speak with a specialist at an addiction treatment center to get a more thorough assessment. Most treatment centers offer free phone assessments and other resources. Denial. It’s hard to admit that you abuse alcohol. It’s much easier to think that misuse has not become abuse yet. Many alcoholics believe that they can stop drinking at any time. They don’t believe that they’ll experience any alcohol withdrawal symptoms. They also tend to gloss over any warning signs that come their way. Fear. To get help for substance abuse, you have to first admit that you have a problem. You also have to admit that the problem has leaked into other aspects of your life. The barrier to this huge step forward is fear. Accepting the truth can be scary. Taking the first step and reaching out can appear like an equally daunting task. Stigma. There’s a stigma that revolves around getting help. Many professionals are afraid of the stigma that comes with being labeled as an alcoholic. 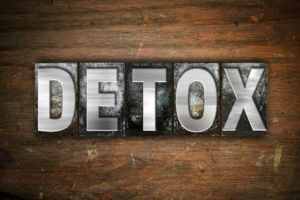 They don’t want others to know that they are seeking alcohol detox. Regardless of whether you’re an addict or alcoholic, it’s always difficult to get help. Don’t beat yourself down if you’ve realized that it took you awhile to look for an inpatient or outpatient program. 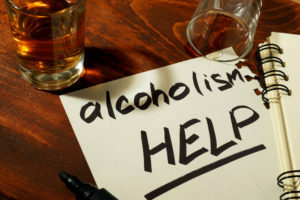 What Are Some Treatment Options for Alcohol Rehab? 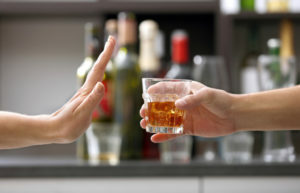 Rehab centers offer a wide range of treatment options for alcoholism. The success rates for alcohol addiction treatment is relatively high. With the right help and resources, the alcohol addiction recovery process gets expedited. Alcohol addiction treatment can usually be broken down into two components. The first component involves alcohol rehab. The second component involves behavioral therapy. Many of these treatment options are covered under your health care insurance. The insurances accepted will vary from rehab facility to rehab facility. Find affordable care by looking at the various options that are available. Understanding how these two components help alcohol abusers is vital. Treating alcohol addiction is not easy. Getting a better idea of the types of treatments available can help you make a more informed decision. The rehabilitation process tends to be rather long and lengthy. Let’s take a more in-depth look at the different components involved. A lot of medicines treat drug or alcohol addiction. These treatments for alcohol eases withdrawal symptoms and stops cravings. Most importantly, they prevent life-threatening symptoms, like delirium tremens and seizures. Some of these medications are prescribed as pills. Alcohol abusers may take several pills throughout the day to manage their symptoms. The doses will vary based on each patient’s condition and situation. It will also depend on how the patients respond to the treatment. Other medicines, like naltrexone, are prescribed in the form of an injection. These injections are provided to patients once a month. Different medicines have unique treatment protocols. Some may require patients to be completely off of alcohol and drugs first. Each drug also has specific side effects. Knowing the requirements of each medicine, as well as its cost, can help many drug abusers and alcohol abusers figure out what may work best for them. Those who aren’t getting the results that they want should highly consider switching to another medicine. There’s no harm in doing so. It may even speed up the recovery process. Each treatment facility will likely offer different types of therapies and counseling. It all depends on the specialties of the counselors at the rehab facility. Some counselors specialize in specific types of treatment. With that said, those struggling with an alcohol use disorder may want to try different options. There’s no harm in seeing whether some therapies are more effective than others. Some patients may respond better to certain techniques than others. For example, those who are motivated by inner motivation may be more keen on motivational interviewing. Teenagers involved in underage drinking may find family therapy to be a more effective option. What’s the Best Time to Get Alcohol Treatment Help? So, when is the best time to seek alcohol treatment help? There’s no right answer. Most addiction specialists recommend getting help as soon as you notice that your drinking has gone out of hand. It’s time to reign in before the situation worsens. Some people may seek alcohol treatment help as soon as they have difficulties putting the bottle down. Others may wait until they’ve gotten in serious trouble. It’s never too late to get treated for an alcohol addiction. At New England Recovery and Wellness, our goal is to make it as easy as possible to get alcohol treatment help. Our duty is to help you understand your addiction to alcohol. We provide the resources necessary to make an informed decision if you’re addicted to alcohol.